He cuts quite a dash, doesn't he? When Roland sent MusicRadar a Lucina AX-09 keytar to play with, there was only one man whose shoulder we wanted it to be dangling off. Yes, we put the call out to our newest contributor Brett Domino, and he came back to us with his video review. Hit 'Play' to see Brett pick out some of his favourite Lucina features and, most importantly, cut loose to show you exactly what this new strap-on synth can do. 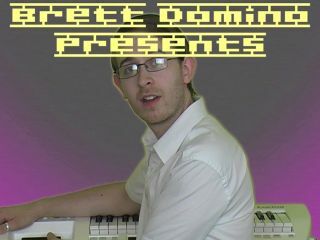 More 'Brett Domino on…' video reports on MusicRadar soon!